It’s time to talk more in-depth about Iñaki Williams, one of Athletic Club’s most impressive natural talents with a very peculiar life story to tell. Athletic Bilbao’s history was forever changed when they accepted the very first black race footballer into their ranks, Iñaki Williams was accepted to the Athletic Club’s Lezama player academy when he was only 14 years old and everything took a wild turn since then. The club from the Basque country has a very specific policy of breeding their own players, it’s one of the few clubs who will only accept young talents who were born or bred on a specific region of the Basque Country. These areas are Bizkaia, Gipuzkoa, Araba, Nafarroa, Lapurdi, Zuberoa, and Nafarroa Behera. Iñaki himself was actually born in Bilbao, Biscay but his parents are both of Liberian blood and were born in Ghana before coming to the Basque Country when they were escaping from the African Civil War in the ’90s. Once you take a look at Williams’ physical capabilities, you immediately get thrown off by his innate capacity to sprint and by the fact that he doesn’t have any aspects that are familiar to those of a Basque-born player. But once you hear him talk, you realize he is truly from that specific area of the country. Iñaki spent the vast majority of his childhood in the city of Pamplona where he was developed in youth academies from CD Pamplona, but as soon as Athletic club knew of his origins they didn’t hesitate to sign him for their youth academy. After a slow-burn development in the younger categories, Iñaki finally made his debut at age 20 on 6 December 2014 after replacing an injured Aritz Aduriz. It took Williams only a couple months to score his first goal as it came in a match against Torino in the UEFA Europa League, the qualities that Iñaki presented from the very first moment were incredible. A potent striker with the ability to make speedy sprints during counter attacks with an innate finishing skill that very few players in Athletic’s history have showcased, this young talent was meant to be one of the club’s most celebrated players. But for some reason, Williams still hasn’t been able to live up to the expectations and he even went a good 770 days without scoring a single goal with his club or country according to El Pais. People had been expecting a performance like the one he delivered last weekend, it was something truly spectacular to witness. 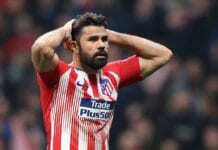 It happened against Sevilla in La Liga match played last Sunday at the New San Mames Stadium, Williams first surprised the whole world with a top-class definition from the outside of the box and scored an authentic screamer to the top corner. But that was only the beginning, as Williams took a counter-attacking pass from deep inside the field and made a tremendous run that surpassed both of his markers to then finish with a clinical shot to the bottom corner to give Athletic Bilbao the much-needed victory against a very competitive squad such as Sevilla. The second goal had all the qualities that Williams first started showing when he began his career, it’s almost as if he had just awakened from a two-year slumber. This win was very important for the Basque squad because it took them away from the relegation zone, it was all thanks to this impressive display from Iñaki Williams, the very first black race player produced in the Athletic Club youth academy. All he needs is more consistency because he already has great talent. 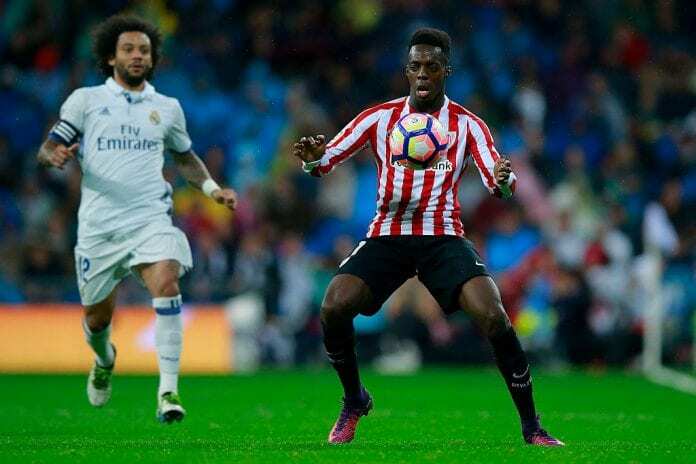 What does Iñaki Williams need in order to gain more consistency as a footballer for Athletic Club Bilbao? Please share your opinion in the comment section down below.